Information according the release date of the upcoming performance line GPU " Tahiti LE "from AMD is leaked today on HT4U page, the SKU used which codenamed "Tahiti LE" will be the same one on the HD 7950 and 7970 but with a slashed SP units. 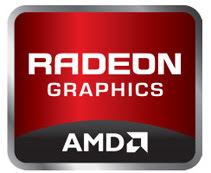 AMD want to leave the choice to AIB partners to use the same PCB used on the Radeon HD 7900 series on the new graphic card and in a limited edition, also there will no reference PCB design for this one according to the source, the new performance line graphic card will be between the HD 7870 GHz Edition and the Radeon HD 7950 in term of performance and price and you ask why AMD release this new GPU? Basically the answer is simple, to counter the new Nvidia's GTX660 Ti, no official name for the graphic card but we guess a HD 7890 or a something like HD 7930, and the release date of the "Tahiti LE" is set to the next November 27.